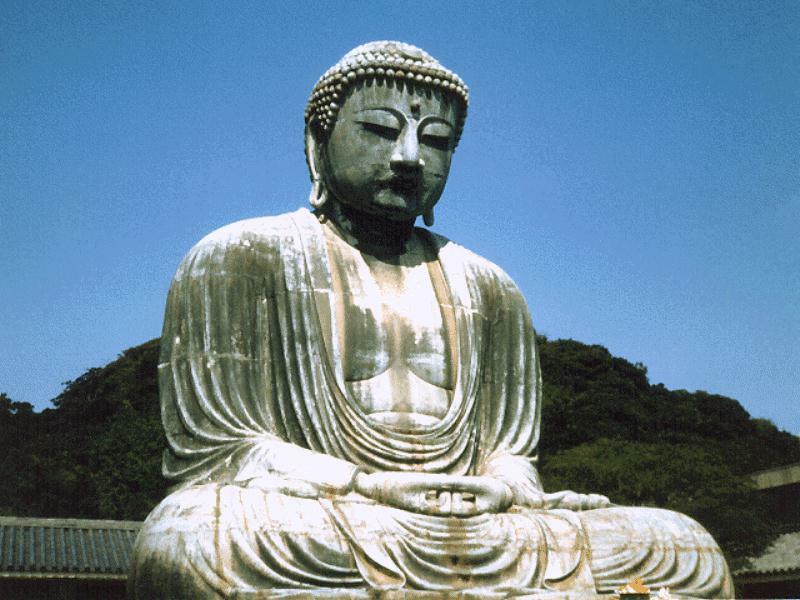 Siddhartha Buddha was born a prince in Lumbini, Nepal, at the foot of Mount Palpa in the Himalayan ranges, in 560 B.C. He died at age 80 in 480 B.C. 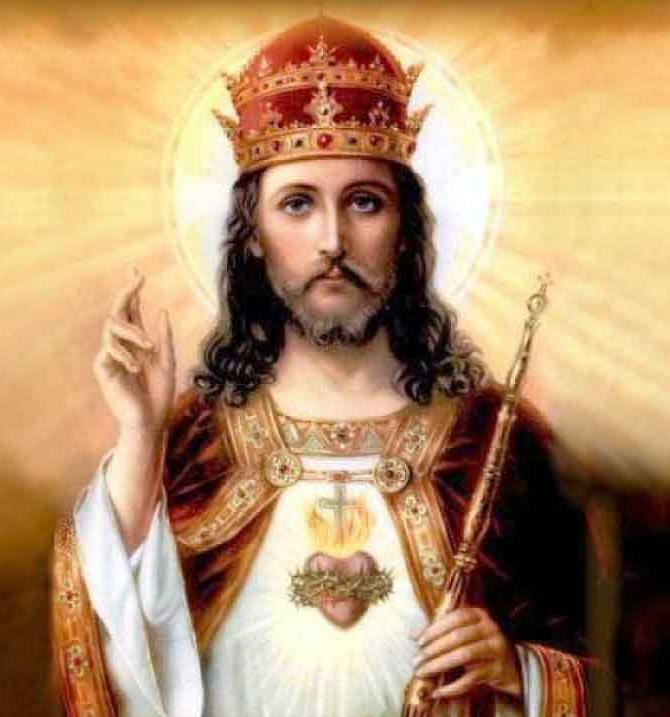 His father was Suddhodana, king of the Sakhyas. Because his mother, Maya, died seven days after his birth, he was raised by his foster mother, Maya’s sister Mahaprajapati.Siddhartha means “one who has accomplished his aim.” Gautama was Siddhartha’s family name. He was also known as Sakhya Muni, meaning an ascetic of the Sakhya tribe. Doing his best to prevent his son from becoming a monk, Suddhodana raised him in luxury and indulgence and sought to keep him attached to sensual pleasure. Guards were posted to assure that Siddhartha did not make contact with the four men described by the astrologers. He placed his son in a magnificent walled estate with gardens, fountains, palaces, music, dancing and beautiful women. Siddhartha married Yasodhara at age sixteen, who subsequently gave birth to their son, Rahula. Throughout these early years of his life, he knew nothing of the sufferings that were taking place outside his enclosure. Given food by a young woman, he sought a comfortable place to sit and eat it. He found a large tree, now known as the great Bo-tree, or Tree of Wisdom. Upon consuming the physical food, he realized that he was starved for spiritual nourishment. Going deep into meditation, he contemplated his journey with its temptations and desires but did not yield to them. The legends tell us that he came out of the meditation victorious, his face shining with illumination and splendor, having attained Nirvana. He got up and danced in divine ecstasy for seven days and nights around the sacred Bo-tree, after which he returned to a normal state of consciousness filled with incredible compassion for all. He had an overwhelming desire to share his illumination with humanity. “The Buddha” (enlightened one) left his wondrous Bo-tree behind, venturing out into the world to teach others who were seeking Wisdom and Enlightenment. The subsequent teachings of The Buddha are the foundation of Buddhism. Checkout the ASCII Art of Lord Gautama Buddha in the below link. Please use Lucida Console font to view the art in Notepad. Before that in Notepad go to Format and Uncheck the Word Warp and then Go to Font and Reduce the Font Size to 3 to 4 pt. Use only Lucida Console Font. Thiru Muruga Kirupanandha Variyar, popularly known and reverently called Variyar Swamigal was born at Kangeyanallur, a small village on the northern bank of ‘Palar’ river. This village lies at a distance of 5 km between Vellore and Katpadi in Vellore District. This province is referred to as Thondai Nadu in Sangam literature. His father Siva Thiru Mallayadasa Bhagavathar was well known for his discourses on ancient Purana & Ethics. He was a great scholar, his knowledge and wisdom in Purana, Ethics and literature were unlimited. Hence, he was conferred with the title “Puranethikasa Paarangathar”. He established ‘Thirupugazh Sabhas’ in each and every place to propagate “Thirupugazh” , the songs which spell the glory of god Muruga. Madhu Shri Kanagavalli Ammaiyar, his mother was a noble, highly discipline calm, affectionate holy woman. She was always align with the thoughts of her husband. Her kindness and helping tendency towards mankind particularly towards poor was endless. His parents belong to Sengunthar group following Veerashaiva traditions (Primarily followers of Lord Siva). They had 11 children and swamigal was the fourth child. 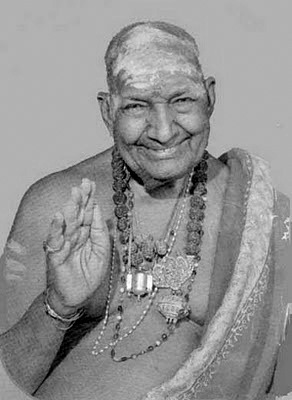 Variyar Swamigal never stepped into any school. But his father Mallayadasar taught him education, Literature, grammar, music and instrumental music, particularly Veena, Swamigal started reading and learning texts at Third year of his age. Swamigal was capable of authoring Venbas (a sort of Tamil lyric) at his eighth year of age. At his 12th year he memorized ten thousand poems and authored texts like ‘Ashta Naga Bandham’, ‘Mayil’,’Vel’, and ‘Sivalinga Bandams’ which were too hard and a challenge for even highly learned scholars. Variyar Swamigal married Amirtha Lakshmi, daughter of his maternal uncle at his 19th age. It is said that saints like Thiruvalluvar had no children since no sacred life was available to call them as ‘father’. So was the case in Variyar Swamigal also. The motto of being a human in this world is to serve others before self. The people love other live for other, even the bone of kind people belongs to all other. So is a statement in Thirukkural and according to that, Variyar Swamigal toiled for others, for the people, for the world throughout his life span. It is said that one who sees a thousand crescents in his life has lived for a full span with entire fulfilment in all aspects of life. Thus Variyar Swamigal lived as a pearl representing the Pancha Boodhas. That is why he was born in this earth and attained eternal life in the space on 07.11.1993. Check out the ASCII Art of Kirubananda Variyar in the Link Below. Use LUCIDA CONSOLE FONT for viewing art in notepad. Before viewing the art in notepad Just UNCHECK the WORD WRAP in FORMAT.Use font size of 3 to 4 pt. Swami Vivekananda, known in his pre-monastic life as Narendra Nath Datta, was born in an affluent family in Kolkata on 12 January 1863. His father, Vishwanath Datta, was a successful attorney with interests in a wide range of subjects, and his mother, Bhuvaneshwari Devi, was endowed with deep devotion, strong character and other qualities. A precocious boy, Narendra excelled in music, gymnastics and studies. By the time he graduated from Calcutta University, he had acquired a vast knowledge of different subjects, especially Western philosophy and history. 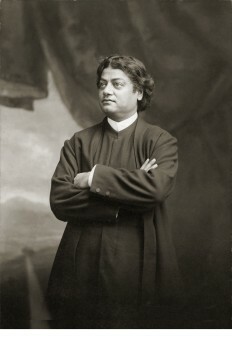 Born with a yogic temperament, he used to practise meditation even from his boyhood, and was associated with Brahmo Movement for some time.During his travels all over India, Swami Vivekananda was deeply moved to see the appalling poverty and backwardness of the masses.Swami Vivekananda heard about the World’s Parliament of Religions to be held in Chicago in 1893. His friends and admirers in India wanted him to attend the Parliament. He too felt that the Parliament would provide the right forum to present his Master’s message to the world, and so he decided to go to America. Another reason which prompted Swamiji to go to America was to seek financial help for his project of uplifting the masses. Swamiji, however, wanted to have an inner certitude and divine call regarding his mission. Both of these he got while he sat in deep meditation on the rock-island at Kanyakumari. With the funds partly collected by his Chennai disciples and partly provided by the Raja of Khetri, Swami Vivekananda left for America from Mumbai on 31 May 1893. His speeches at the World’s Parliament of Religions held in September 1893 made him famous as an ‘orator by divine right’ and as a ‘Messenger of Indian wisdom to the Western world’. In June 1899 he went to the West on a second visit. This time he spent most of his time in the West coast of USA. After delivering many lectures there, he returned to Belur Math in December 1900. The rest of his life was spent in India, inspiring and guiding people, both monastic and lay. Incessant work, especially giving lectures and inspiring people, told upon Swamiji’s health. His health deteriorated and the end came quietly on the night of 4 July 1902.